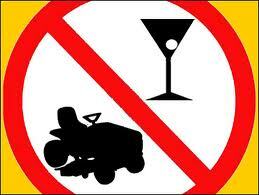 Just in case you were wondering: Yes, you can get busted for drunk driving while taking your lawn mower for a spin. Ask Roy Walton, 47, of Bloomfield Township. WWJ reports that Walton, 47, rode his lawn mower to the Rite Aid on Woodward near Square Lake Road in Bloomfield Township. The cops first noticed the lawn mower parked outside the drug store and waited to see what would happen next. Walton appeared, hopped aboard and started to drive down the sidewalk when he was busted, WWJ reports. Police said he appeared to have been drinking. WWJ reports he has prior convictions for operating while intoxicated.